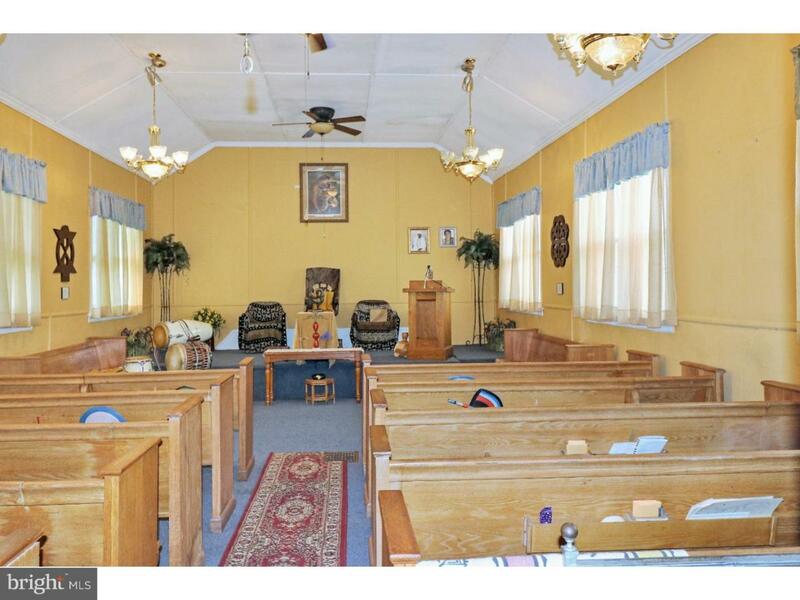 This property is presently utilized as a worship center, but the building presents unlimited possibilities and could be suited for many purposes. This multi-use facility is situated on a quiet street, it offers an adjoining lot which has since been incorporated into one parcel. The exterior is comprised of beautiful stone, the interior offers a quaint entrance with custom glass windows, spacious worship area with high ceilings and pews that will remain with the building. The lower level has 2 bathrooms, a kitchen area, and a banquet area. An adjoining private office is found at the rear of the building. Several key upgrades have been completed in the last couple years including HVAC and electrical.